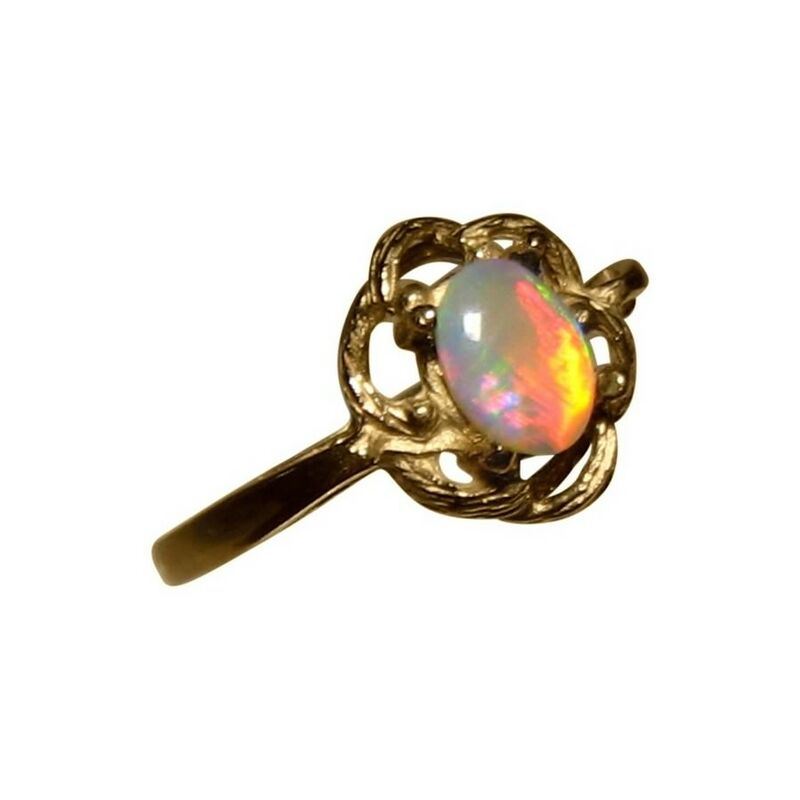 An elegant small Opal ring in 14k Gold with an oval Red and Blue Crystal Opal. In stock and ready to ship. 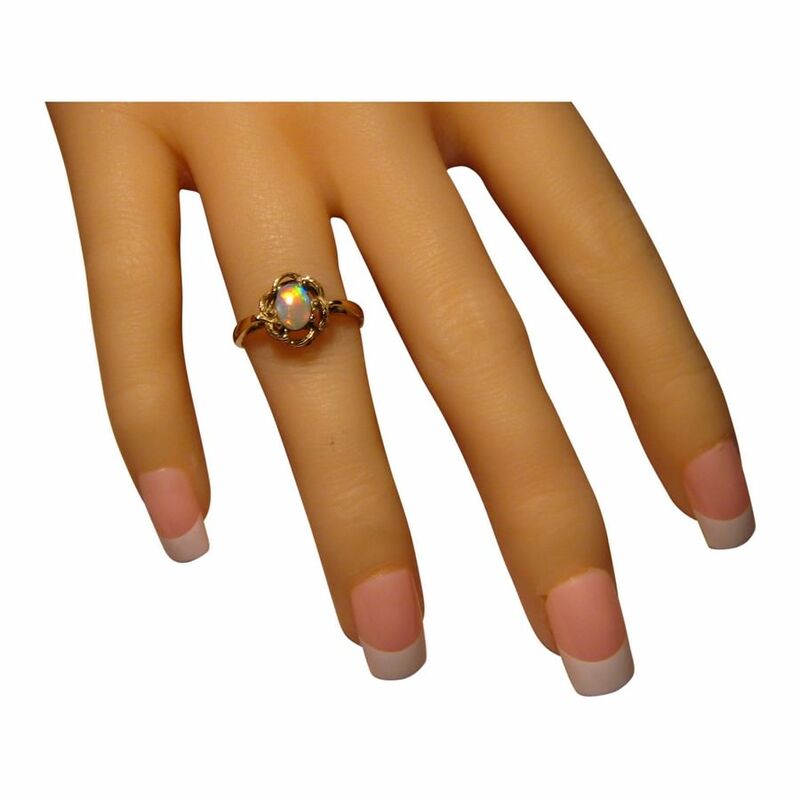 An Opal ring for women in a solitaire design with branches of Gold encasing the oval Opal. 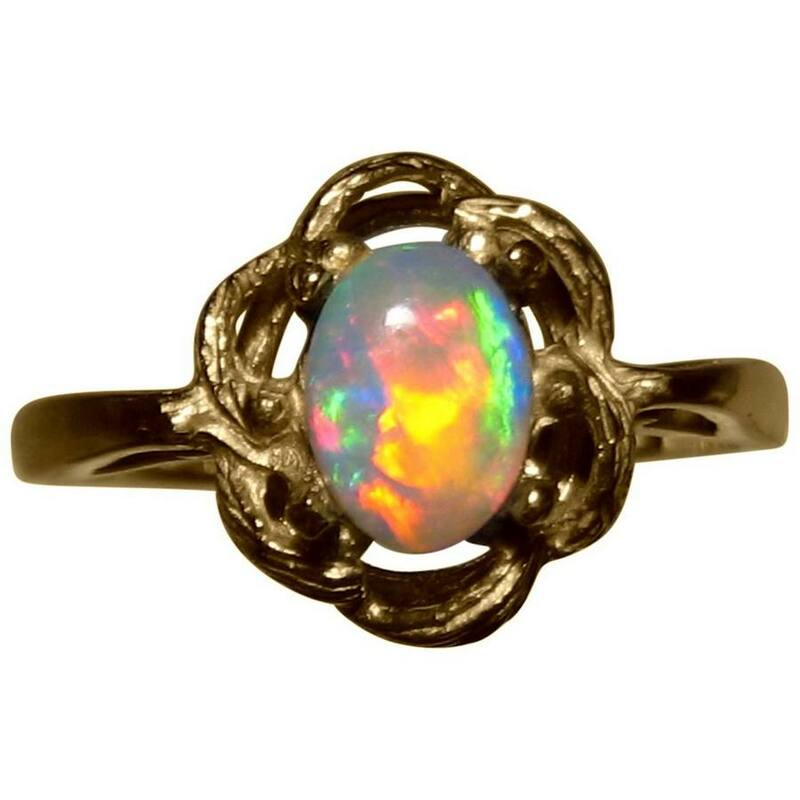 The 14k Gold ring is prong set with a small Coober Pedy Dark Crystal Opal showing very bright Red and Blue in a patch roll play of color which the video below displays better than the images. 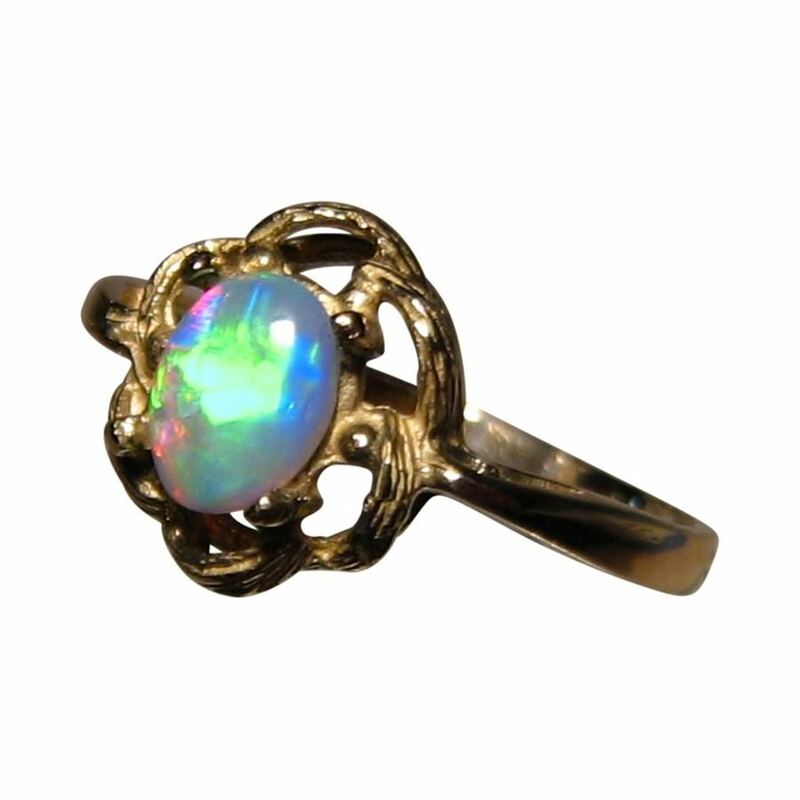 This natural Opal ring is ready to ship as detailed below or will take about 7 days to make in any other ring size or gold color choice before this exact Opal will be secured. 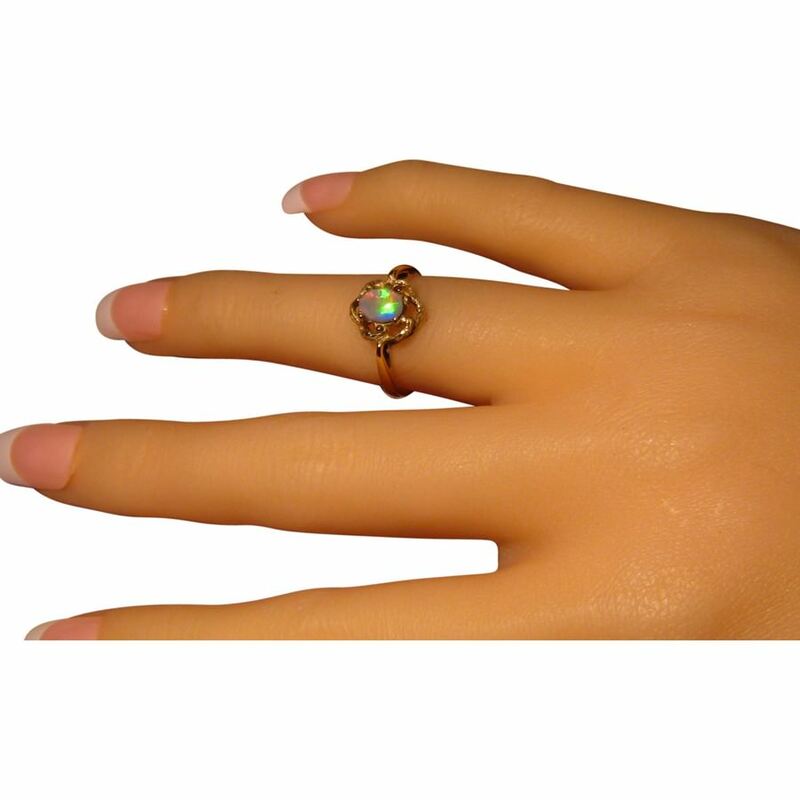 As the opal is not yet set, if you would prefer a different setting more to your style, simply contact through this product with your preferences for a free quote.